Aurora, OH: Video Products Inc (VPI) is now offering its selection of DVI/HDMI Video Switches with Audio at up to 42% off. 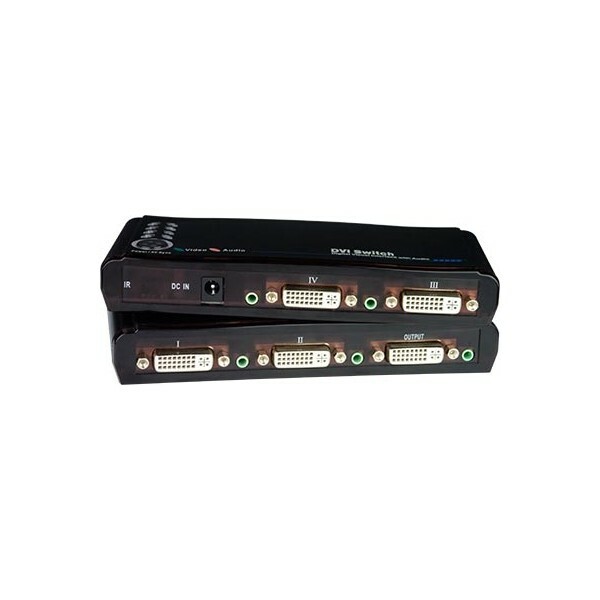 The VIDMUX® DVI/HDMI Video Switches enable one DVI/HDMI display and speakers to be switched between up to four single link digital DVI/HDMI video sources. The units support HDTV resolutions to 1080p and computer resolutions to 1920x1200. 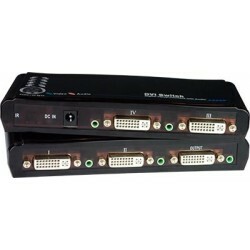 HDMI audio signals are passed through the DVI-I port when connected using an HDMI male to DVI male cable. The SE-DVI-2A and SE-DVI-4A can be controlled via the top panel push button or infrared remote (IR) control. IR remote control includes power on/off, mute function, and break-away audio, which enables audio to be switched independently of video. The units are compliant with HDMI 1.3 and HDCP standards, and support the DDC2B protocol. Each switch comes with female DVI-I connectors and 3.5mm stereo audio jacks. Computer and HDTV video sources supported include satellite receivers and DVD players with single link digital DVI outputs. With a compact size of 2.3x6.4x1.1 inches, the DVI/HDMI Video Switches offer a convenient solution for eliminating redundant video displays. The units come with an included AC adapter for power and three stereo audio cables for the 2-port unit and five stereo audio cables for the 4-port unit. Available for immediate sale, the SE-DVI-2A costs $125 and the SE-DVI-4A costs $140.